In 1964, The Rolling Stones popularized the song, Time Is On My Side. If you are of a certain generation, I’ll bet you’ve heard it a time or two. The title line is the best known: “Time, time, time is on my side, yes it is.” I’m reminded of that song and those opening lyrics when I think about the time that has passed since Hau’oli Mau Loa Foundation was established a little over 25 years ago. 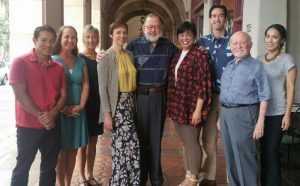 In the quarter century since then, the Foundation has invested, through its grantmaking, more than $48 million, giving most of these resources – over $41 million – to Hawaiʻi projects and organizations. And, since many of you may know the Foundation only since it received its full funding and hired its first staff members in 2008, we also like to keep track of the total distributed in these past nine years – $42 million, 88 percent, of the total granted since the Foundation’s official birth in 1992. Time is on the side, so to speak, of a private foundation, which does not have to produce quarterly profit reports. Nor must it operate within the constraints of two- or four-year election cycles. Private foundations have time to do their work. That is a gift. At Hauʻoli Mau Loa Foundation, we have the luxury of taking the time needed to learn about an issue so we can respond as effectively as possible. We have the time to work patiently on issues that have deep roots and require considerable efforts to budge. We know that conditions in communities and systems that must be addressed are often firmly entrenched and take much time and effort to move, whether they are naturally occurring or created by people. We know we may not see significant progress or change in such knotty issues for a good number of years. 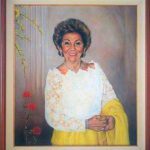 I cannot reflect on the major milestones of Hauʻoli Mau Loa Foundation over the past 25 years without thinking about our benefactor, Helga Glaesel-Hollenback. I believe Helga had a pretty good grasp of the concept of time as she set aside resources to establish the Foundation that would be used in a future that would surely extend well past her lifetime. Beyond the obvious contribution she made in establishing the Foundation, there are two other contributions that stand out to me as I think about our past and future. The first is the way Helga engaged with people. 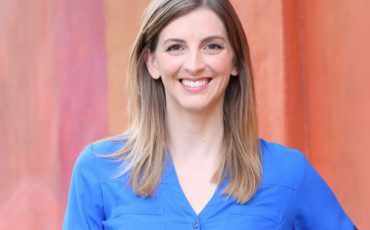 Her style of engagement has become a hallmark of aspirational behavior within the Foundation. It is the basis for our belief about partnering with the organizations we fund. Helga believed that trust, respect and shared goals are necessary to make an effective partnership. A funding relationship, from Helga’s perspective, should be no different from any other partnership. We strive to make her belief our own … and to act accordingly. The other contribution Helga made was her wish to respond quickly. Yet she recognized that not all wheels moved at her speed. 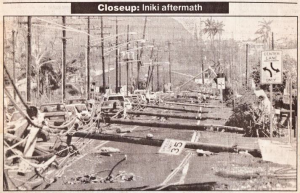 Immediately following Hurricane ʻIniki, which devastated Kauaʻi in 1992 Helga asked her colleagues to figure out how the Foundation might support the children of Kauaʻi. The answer came back quickly from community leaders on Kaua’i. And within a short period of time, Helga committed the Foundation to supporting the construction of an educational center at Kōkeʻe where school-aged children could learn about the island’s natural environment. While the commitment was born quickly, its realization took a little more time. 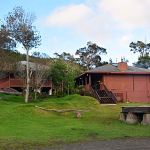 The Kōkeʻe Discovery Center was completed several years after Hurricane ʻIniki, in large part, thanks to Helga’s curiosity, leadership and responsiveness. 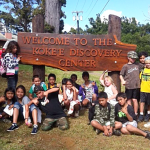 Today, Kōkeʻe Discovery Center continues to serve more than 1,000 children and adults every year, providing an educational experience that promotes a greater appreciation for and knowledge of our natural environment. Credit: Kōkeʻe Discovery Center Association, Inc. While we recognize the gift of time, we also acknowledge that it comes with a less positive side. Too much time can lead to a lack of urgency, producing complacency and an accountability vacuum. In this past year, for example, we came to see even more vividly the very real threat that Rapid ʻŌhiʻa Death poses to our native ʻōhiʻa trees on Hawaiʻi Island and perhaps throughout the entire island chain. 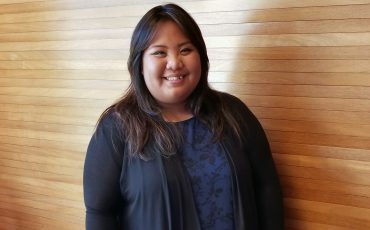 We see children growing up in Hawaiʻi without a strong connection to the ʻāina and lacking an understanding of their role in caring for the resources that feed and sustain all life in the islands. Have we waited too long to address these issues? At the Foundation, we appreciate the importance of taking a long-term view of an issue, including taking the time to learn about it, to develop meaningful relationships with the folks on the ground doing the work, and to find the right approaches to addressing it. Yet at the same time, we feel a sense of urgency – if we don’t act now we’ll lose the chance to protect our native ecosystems or to educate a whole generation of children in ways that connect them to their natural world and help them see their place within it. We feel the tension between these two opposing realities of time and believe the distance between them is about the width of a blade of pili grass. Hauʻoli Mau Loa Foundation: (L to R) James, Keahi, Janis, Anela, Hans, Kylee, Brant, Wayne and Olivia. As we reflect on the past 25 years and wonder for what work over the next 25 Hauʻoli Mau Loa Foundation will be remembered, we hope to remain mindful of how thin that blade of pili grass – representing the difference between complacency and deliberate patience – really is. Our goal is to live on that narrow edge. Please help us remain accountable to that aspiration.